How is Alfalfa Export Quality Control Managed? To ensure the highest level of customer satisfaction, The Gombos Company closely manages alfalfa export quality control. Quality control is our number one priority from the moment of purchase at the farm. In fact, our quality control efforts continue through every step of the alfalfa export process until the hay arrives at the overseas port. Leaning on almost 40 years of industry leadership and experience, The Gombos has developed the six forces of successful alfalfa export quality control and customer satisfaction. 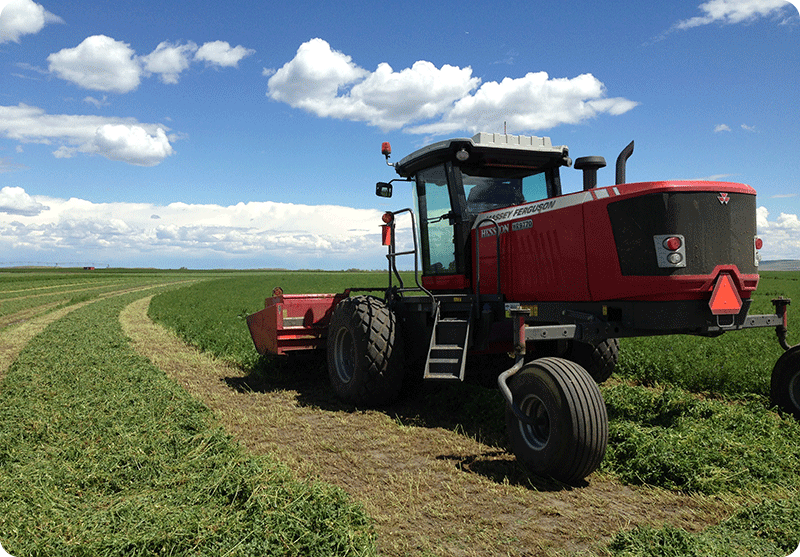 What are the Six Forces of Successful Alfalfa Export Quality Control and Customer Satisfaction? First, when we visit farmers to buy hay for inventory, we are sourcing. While at the farm, we inspect, grade, and test the moisture content. At the same time, we take core samples from the entire stack and send them to a third-party laboratory certified by the National Forage Testing Association. Second, when we physically receive hay at our processing facility, we are in-bounding. Dry-vans or flatbed trucks deliver the hay. We inspect, grade, and test the moisture when the truck first enters the scale. After unloading, the truck is weighed again. We inbound the tonnage we unloaded to our inventory system. Third, when we move hay to a protected area for a long period of time, we are storing. For long-term storage, The Gombos Company has two designated barns, each with a capacity of 10,000 tons. In most instances, in-bound loads are taken to long-term storage. At this time, the inventory manager will inspect, grade, and test the moisture. 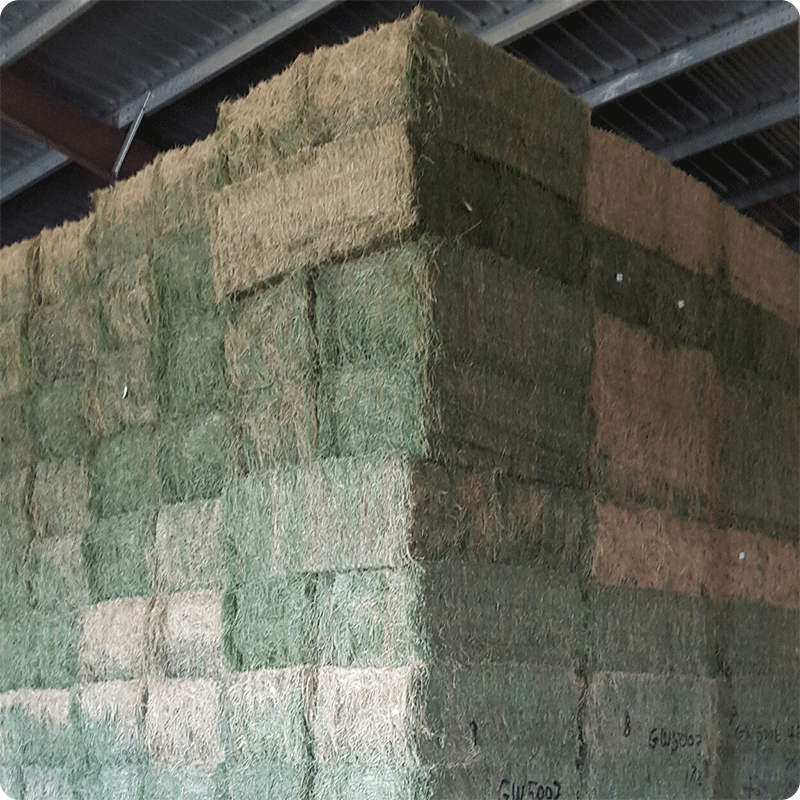 In addition, we re-inspect all long-term stored hay monthly. Fourth, when we move hay to short-term storage before processing, we are staging. The Gombos Company has one designated short-term storage barn adjacent to the press barn, and its capacity is 2,500 tons. Hay is moved to staging by either transferring from long-term storage or delivering directly from an inbound truck. Since the hay will soon to be processed, we again inspect, grade, and test the moisture. Fifth, when we physically press the hay into customer-specified bales sizes, we are processing. Before we process the hay, the press supervisor will inspect, grade, and test the moisture and ensure it meets customer expectations. During processing, all employees look for potential quality problems such as bale twine or foreign material. Before the hay is loaded into the export container, we correct any and all visible quality problems. Finally, after we load and weigh the container for delivery to port, we are out-bounding. Before we close and seal the container doors, all hay is visually inspected one last time. Upon leaving the scale, the container is considered to be out-bounded. What is the Alfalfa Export Quality Control Check-List? Grade: Does the hay meet the grade expected by the customer? Science (Objective): Does the hay meet the lab analysis expected by the customer? Art (Subjective): Does the hay meet the physical criteria expected by the customer? Origin: Does the hay come from the origin expected by the customer? Appearance: Does the hay look the way the customer expects it to look? Contaminates: Is the hay free of foreign contaminants, weeds, dirt, or trash? Moisture: Is the moisture of the hay <12%? 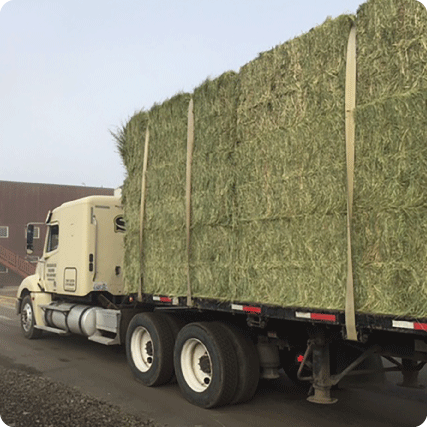 Step 1: Sourcing – all hay inspected! Step 2: Inbounding – all hay inspected! Step 3: Storing – all hay inspected! Step 4: Staging – all hay inspected! 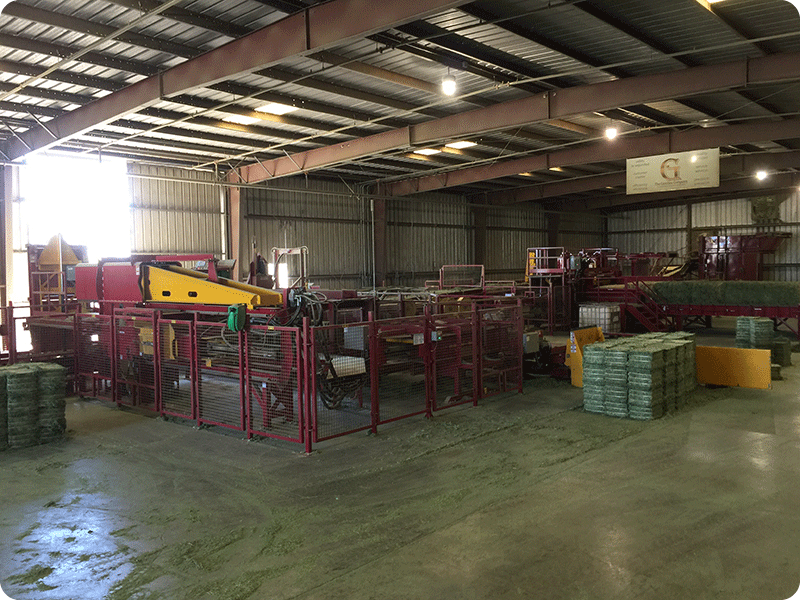 Step 5: Processing – all hay inspected!